Do you still feel the urge to eat even after eating a full meal? Do you find yourself eating even when you’re not hungry anymore? You may not be aware of it, but you might be experiencing a deeper kind of “hunger,” a hunger that you can’t seem to satisfy no matter how much you eat. There is barely enough room in your stomach, yet you keep eating because something inside you urges you to fill it up with food. If you’re experiencing this, there is no doubt that you’re emotionally eating. I’ve heard many people (some of them are my clients) say that they’re emotional eaters.While they’re fraught with concern, they don’t have the slightest clue on what to do about it. You don’t have to be stuck with emotional eating or be clueless about it. My free guide, The Crave Cure, discusses food cravings and how your emotions can affect how you eat. But before anything else,you must realize that overcoming emotional eating requires two things. First, you need to be aware and be ready to acknowledge that you have this problem. Second, you must know and understand why you do what you do. So how do you know that you’re emotionally eating? We often use food to fill certain emptiness in our lives. Whenever we feel lonely or spiritually disconnected, or when we lack a sense of purpose, food can temporarily fill the hollowness inside us. If a full mealisn’t enough to satisfy you, you may be using food to fill a void that should be occupied by something greater. When an emotionally-charged event happens in our lives, or when we just feel uncertain, scared, or helpless, we tend to soothe these unpleasant emotions with food. We eat very specific foods because we want to be certain about one thing when everything else seems to be beyond our control. Food is a grounding tool, a way to neutralize intense emotions. If eating is the first thing you do after an emotional event, you’re probably emotionally eating. Whether we’re celebrating or grieving, our bodies always find ways to “come back to earth,” and one of these ways is to urge you to eat. When we emotionally eat, we want to “numb ourselves out.” When we eat distract ourselves from certain stressors in our lives, the last thing we want to do is pay attention to the very act that takes our minds off our uncomfortable feelings. So we eat mindlessly and hurriedly. Both your brain and your body are aware of that you’re emotionally eating, regardless of whether you know the trigger or not. When you feel guilt or shame after eating, that’s a clear sign that you’re emotionally eating. Now that you know how to recognize the signs of emotional eating, you must also know what triggers it. As I discuss in The Crave Cure, awareness is key. When you know what triggers you to eat emotionally, you’ll figure out the best way to deal with the issue and you’ll know when you’re most vulnerable to it. 1. Stress – Stress makes us hungry. It’s not all in the mind. When you are stressed, your body produces more cortisol, the stress hormone. Cortisol triggers cravings for salty, sweet, and fried foods—foods that give you a burst of energy and pleasure. 2. Boredom or Feelings of Emptiness – Do you find yourself reaching for a bag of chips when you have nothing to do? Eating gives you something to do when you’re bored. It can also distract you from the feeling of emptiness or temporarily fill up the hollowness that comes with not having a sense of purpose and/or being dissatisfied with life. 3. The Force of Habit – When you were little, did your parents reward you with some ice cream for good behavior? Did they try to make you feel better by offering you sweets when you were feeling down? Did they take you out for pizza when your report card looked great? These emotionally-based habits that were ingrained in you while you were growing up may have stuck with you well into adulthood. 4. Good Memories – Do you associate specific foods with wonderful memories such as holiday gatherings, birthday parties, or family get-togethers? Or perhaps your mom showed her love to the entire family by serving delicious meals. You might find yourself trying to relive those joyful and heartwarming experiences by eating the foods that you associate with them. 5. 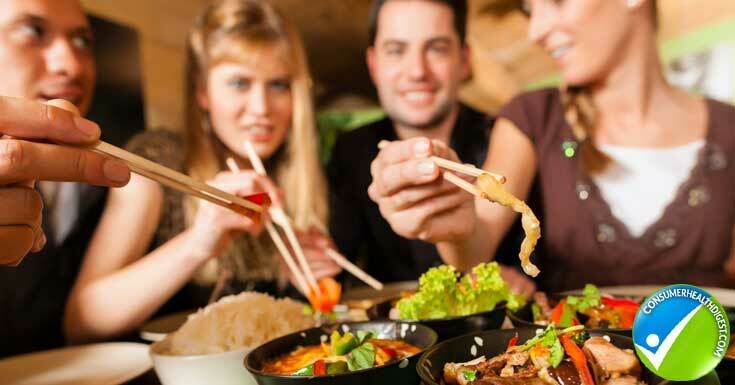 Social Influences – Going out with friends for a meal is a great way to unwind, but it can also lead to overeating. It’s easy to overindulge simply because the food is there for the taking. Perhaps you see that everyone else is eating and you want to go along with the group. Sometimes, you get too caught up in the conversation that you don’t realize that you’ve already eaten more than you’re supposed to. Anxiety in social situations can also drive you to overeat, especially if you’re a nervous eater. Or maybe your family or friends encourage you to have a second or third helping because they like watching you enjoy the food they have prepared. 6. Uncomfortable emotions – Eating can temporarily pacify, numb,or suppress uncomfortable emotions such as fear, anxiety, anger, resentment, sadness, loneliness, and shame. The very act of eating can be a form of distraction when you’re not ready to deal with these uncomfortable emotions. Please remember that emotional eating is a very common issue, but that doesn’t mean you shouldn’t and can’t overcome it. If left uncontrolled, emotional eating can lead to obesity and other health problems. You need to truly understand why you constantly turn to food for relief and comfort so you can channel the energy accompanies emotional eating to other areas of your life that you need to work on. Are you ready to take the next steps towards freedom from emotional eating? Download the free Crave Cure guide now!